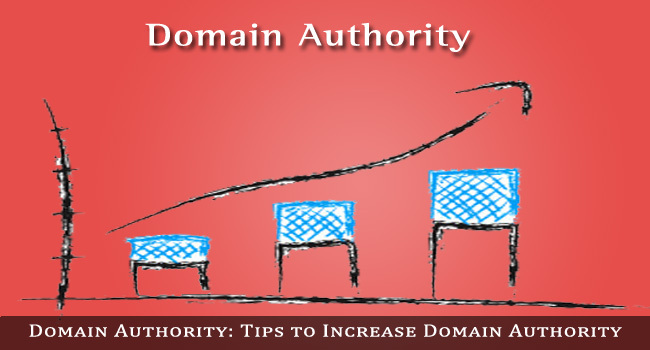 Domain Authority has become an essential term to the modern blogger. It is rapidly becoming apparent that Google PageRank and the Alexa Ranking have had their day, and are quickly being superseded by this new Google metric. Why? Think about it: Think of what’s wrong with Google PageRank, where you get ranking points from links back to your web pages from other web pages. PageRank was wide open from the start to paid links and ‘you give me one and I’ll give you one’ reciprocal arrangements. There are even commercial software applications to this day that arrange reciprocal links between subscribers to the service – people who have never even visited the web pages they are linking to. In fact, Google has become so disillusioned with this metric that it will not be updated in 2013. Let’s face it, PageRank was introduced back in 1996 by Larry Page (hence its name) and Sergey Brin before the two launched Google in 1998! It’s not before time that the company is making a change to this component of its ranking algorithm! Sue, it updated Toolbar PageRank in December, but this was only the 2nd update this year. There were 5 Toolbar PageRank updates in 2011, 4 in 2012 an only 2 in 2013 (the other was in February). This does not imply a continuing commitment to this metric. So what’s taking its place, albeit slowly? Domain authority, authority ranking, authorship: likely all the same thing in Google’s eyes if not exactly the same in practice. To put it in a nutshell, Google seems to be gradually replacing the 17 year-old PageRank with a more modern concept: that of the authority of a domain in its niche by those who matter – Google’s customers. Google’s customers are those seeking information using the search engine. The more people that use Google rather than a competing search engine, the more easily Google sells its on-page advertising known as Adwords. This is one of Google’s main sources of income, and why it wants to be the ONLY search engine on the planet! So, what is domain authority and how does it work? First, it is not a Google term. 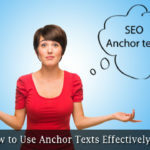 The term was originally used by Moz (previously SEOMoz), and is now being used generically for the authority of a website or blog in its niche. This has been extended to Google and an extension to, and now possibly ultimately a replacement for, PageRank. It is Moz’s method of predicting the performance of domains in search engine rankings. It operates using the website as a whole, although its concepts can be applied by Google in ranking individual pages. It uses the number and quality of backlinks to a site in addition to the trustworthiness of linking sites. It uses over 40 different factors, compared to Google’s 200+, but still comes up with reasonably accurate results when compared to Google’s rankings. However, it is generally best used to compare your site with others rather than to test the results of improvements to your site month on month. If you install the Mozbar extension in Google Chrome or Firefox, you can view the domain authority of the website you are visiting including that for your own website. You can then get a much quicker idea of how your site is improve against others than you could use PageRank or your search engine ranking. Open Site Explorer on Moz allows non-pro members to check out your domain authority three times each day. This tool also enables you to find your page authority and the total number of links. This is again useful, although in the final analysis it is Google’s metrics that matter. The history of domain authority is lately irrelevant: it’s the concept that matters. Google+ stated it when Google users were given their own pages and profiles to optimize and promote. It was Google’s attempt to tackle the social networking phenomenon, and offer an alternative to Facebook and the other social ‘greats’. Google+ gives you the opportunity to place +1 chicklets on your blog and web pages, and persuade readers to click on them to give you another +1 vote, just like a Facebook ‘Like’. a) Register a Google+ page and set up your Google+ profile. This is very important, and should include your main blog or website URL. Google rewards you if you link your Google+ profile to your user name in those forums, blogs and other publications that allow you to do so. Increasing numbers of publications are allowing this, because they too will likely get some Google domain authority by doing so. b) Connect your website or blog with your Google+ account either by uploading a Google+ code snippet to your site. Check out Google Search Console for more details on this. You will now be awarded authority ranking points for every publication published using your name, including domain authority for such pages on your website or blog. However, domain authority goes beyond just this ‘authorship’ that we know Google uses as a ranking metric. Once you have your Google+ profile and page in place, the next step is to become active on the social networking sites. Twitter and Facebook are the two giants, and it is little wonder that Google is looking to these two when considering sharing content and how your blog is perceived by the public. The more exposure your blog has on Facebook, Twitter, LinkdIn and the other popular and professional networks, the better chance it will have of being indexed and receive a high ranking for specific search terms (keywords). 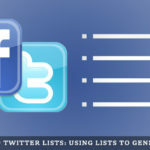 You can use Facebook and Twitter to create fan and community pages and to share your Google+ profile all over the web. Google rewards Google users! Article marketing is by no means dead as many state it to be. In fact, Google has publicly stated that well-written content will be rewarded wherever it is published. You can improve your domain authority by publishing content not just on article directories, but on PDF directories, social pages and on sites such as Scribd. You can also publish your content by guest blogging. Make some useful and constructive comments on blogs relating to your niche, and once they have been noticed you can ask if you guest blog. By publishing posts on related blogs, you can gain authority rank for your site, particularly if you also link your name to your Google+ profile. By also including a link to your website or blog, you not only take advantage of getting link juice, but, more importantly, you also give others the opportunity to become involved with your blog. This interaction between you and your visitors can lead to online relationships that will serve you well in the future. Age: Age is another factor involved in domain authority. The older your domain, the more trustworthy search engines regard it as being. New domains still have a lot to prove, while one that has been going for a few years has shown its lasting qualities, and likely also has many long-term visitors. Size: The more pages on your website or blog posts in your visible archives, then the more authority your site might be given. Size counts, but not always! It’s how you use it: the way you promote your blog and the number of people linking to it are more important than size. However, the size of your overall domain does help. Frequent Change: Change your content frequently – blog often and keep your content continuously changing. All of this is important in improving your domain authority. 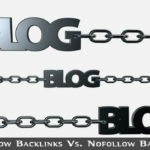 Backlinks: Links to your web pages or blog from other sites are still important to domain authority. Make sure they are from other blogs related in topic to yours. Where Google will be likely to punish you is if you are running a sports blog and are getting links back from health or dog training blogs. For backlinks to be worth anything these days they must come from authority sites in your niche. Of all the above tips to increase domain authority, the one you must take most seriously is that relating to Google+ and how to use it to you advantage. Sure, all the others will certainly help, but Google rewards most those that follow Google’s initiatives. You can check your domain authority using the Moz extension, though this is different to the metric use by Google. Google+ is one of those. So too is Google Search Console, so register with that and promote your Google+ profile. These are the two actions that will reward you most in terms of domain authority. Moz is continuously working on their DA algorithm so it will not die. Google is using their own algorithms to calculate the domain authority of sites. I am Linda, I own a number of websites and I have hired people for SEO of all those sites. But lately, I myself learning something about technical stuff, which can help me to handle my sites on my own. I learned about ‘Domain Authority’ and I have been working on it in past few months. But despite having good internal Linking and good content, most of my site’s Domain Authority is around 15-20 which I think is not good. As I love to attract more advertisers and without having good domain authority, it is tough to attract high paying advertisers. If you able to build high-quality backlinks then it will help to increase your site’s domain authority. 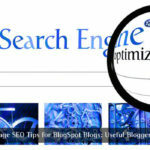 Try guest blogging to attract some high quality backlinks to your website. Hope this helps. Thanks for this great guide to boost domain authority. Do you have high PR blog commenting list to get backlinks? Really interesting to see how you have ranked for your niche sites over the last year. Can I ask how you check to see if your backlinks are ‘working’? I have noticed that, within Majestic SEO, links to websites not showing up in a report, even though the post with the backlink has indexed in Google. Do you bother to look at this, or just assume that if you built the link, it doesn’t matter whether or not it shows up in a backlinking tool? Yeah, it does not matter if backlinks tools are showing them or not, build high-quality backlinks to rank higher in search engines. Make sure Google is crawling your backlinks. I’m searching new ideas containing article like this because I’m getting failed to get traffic for my blog although I work every day on it and it has been going for six months. I think this article will help me to achieve my goal.